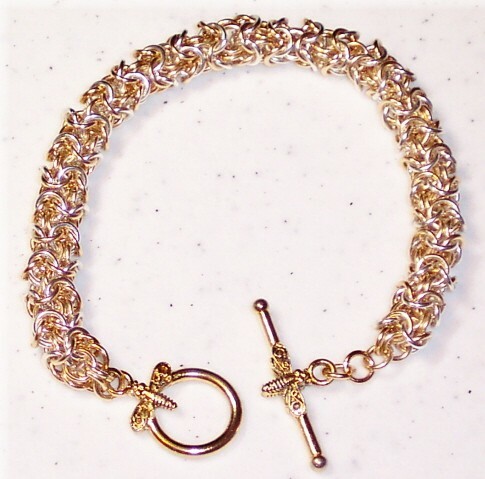 The Turkish Roundmaille Bracelet is a beautiful rope chain bracelet. It actually feels "soft" to your hand. There are two sizes available. One is the more traditional size with the other what I call a micro size. This bracelet will garner you many compliments. This is a beginner weave. The clasp is not included in the kit, and two-tone or rose gold kits are available upon request.